After stopping for a brief chat at the National Trust car park and parking up, all that stands in the way of you and the cove is a ten minute walk down the valley to the beach, which is often prolonged as you can’t help yourself from stopping and taking photos of the view, you end up on the pebble beach, as you walk down towards the sea the pebbles suddenly give way to beautiful golden sand. 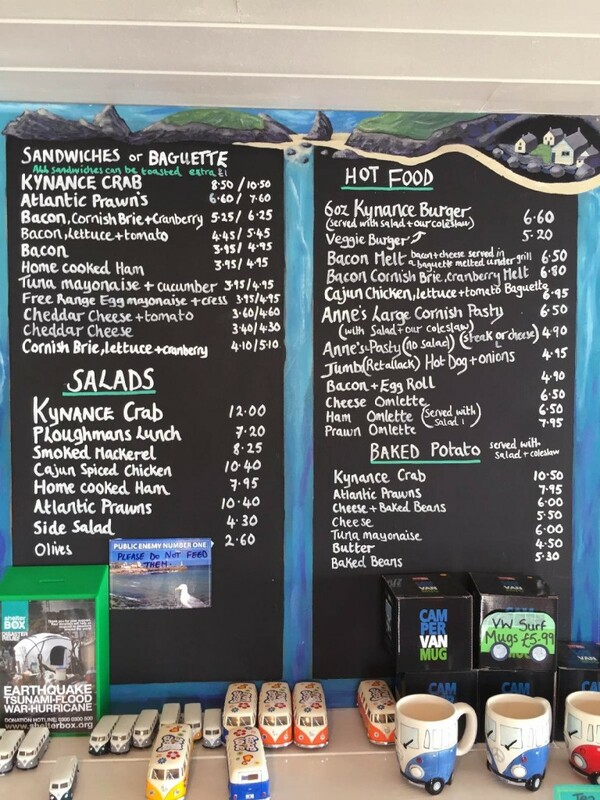 Kynance Cafe use the famous Lizard pasty company Ann’s Pasties, as well as lots of other local produce suppliers to make the food miles as short as possible, including nine flavours of ice cream from Cornwall based Callestick Farm. 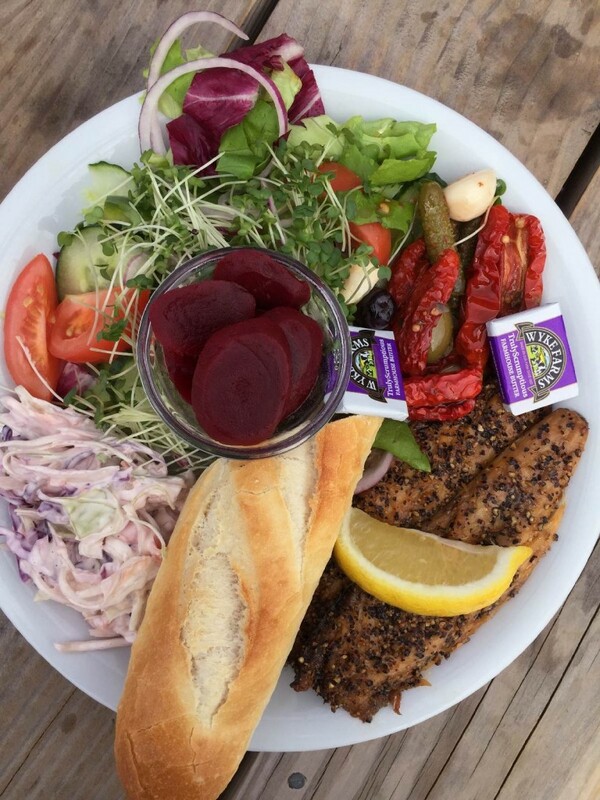 After you have ordered your food, they pass it out to you via a little sash window on a tray for you to collect, making the whole experience pleasant and efficient. The food is reasonably priced, but far from average, the team work tirelessly to make sure that every experience is as good as the last and that all the cakes and food are freshly prepared daily. There is no mistaking that the view is breath taking, the cafe is cleverly positioned as not to impose on the cove and keep the serenity, but also so one can enjoy the view from the platform of tables and the bustling cafe just a few steps up from the beach. Another fact that not many people are aware of is that the cafe’s hot water is run by photo voltaic solar tiles that are on the roof of the cafe and the holiday cottage next door, although you have to look closely as they look just like normal roof tiles, these were installed by the National Trust, when they refurbished the cafe in 1999. These also supply the the toilet block in the cove. The coast path then carries on west from the cove, which is a slightly quieter route and four miles on you reach Mullion Cove, or if you head south from the car park you go towards Lizard Point on the coast path, a hugely popular walk as its where you are most likely to see the Cornish Choughs, which have been present on the Lizard since they naturally recolonised there in 2001. 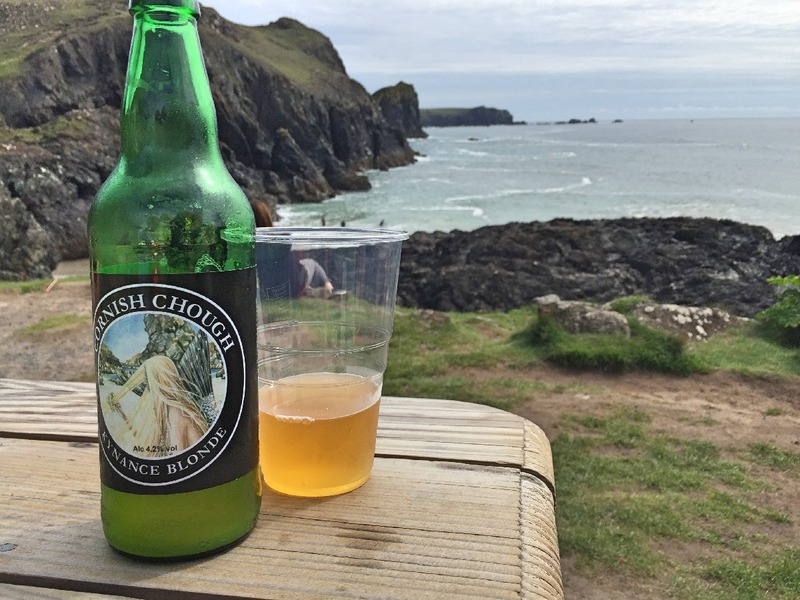 If not to reward yourself for the walk down to the cove then a boost before you walk back up then the cafe is a good place to take a break and enjoy the view.